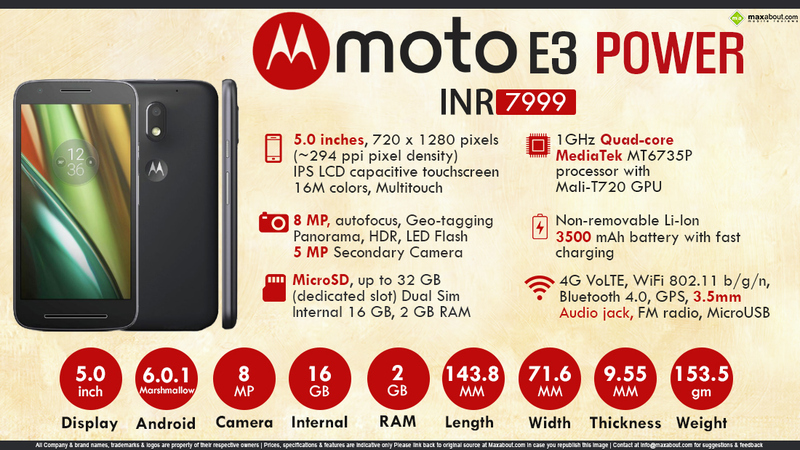 Motorola has finally launched the Moto E3 Power in India with a price tag of Rs. 7999. You can buy it from the most popular e-commerce website Flipkart which has got exclusive rights for its sales for now. The Moto e3 Power gets its power from the 3500mAh battery and has got a similar design as on the Moto G4 and G4 Plus smartphones. It has got a 5-inch display, quad-core MediaTek processor and runs on Android 6.0 Marshmallow OS.